Although rarely seen on the supermarket shelves, the humble marrow - Cucurbita pepo ovifera, was once a revered crop on the allotments of 20th Century England. It is a half-hardy annual with a bushy or trailing habit which produces large, ovoid or cylindrical, and sometime ribbed, edible fruits. The fruits themselves are at least 12 inches long once mature with green, creamy-white striped skins and succulent flesh which is cooked as a vegetable. The fruits are produced from July until September and are used fresh or stored for winter use. It has a mild flavour suitable for both simple and complex dishes.They are also a good source of several nutrients including vitamin A, vitamin C, niacin, folic acid, and iron. Marrow is served cooked. It is usually either boiled or steamed in 2 inch rings, or baked in halves with the centre scooped out and stuffed with a filling such as sausage meat and tomato or Bolognese sauce. 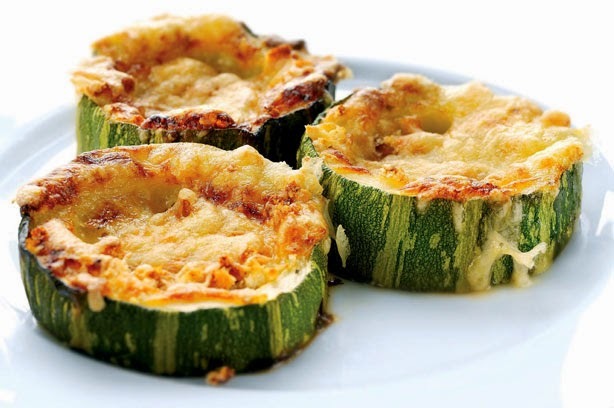 It can be sliced into rounds and topped with cheese and baked. Or it can be cooked with onions, peppers and tomatoes to make a simplified version of ratatouille.. Marrow can also be combined with ginger to make jam, or as an ingredient in mixed summer vegetable preserves. Commonly known as a form of summer squash outside of the United Kingdom, it is a native to the Andes and Mesoamerica before being brought to Europe early in the sixteenth century. after the discovery of the New World. 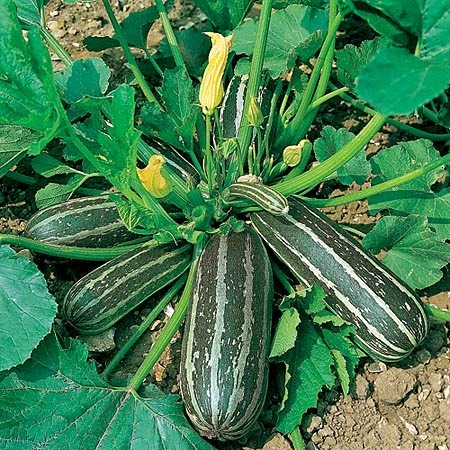 In fact, Cucurbita pepo is one of the oldest, if not the oldest domesticated species of squash in the world, the oldest known locations being found in southern Mexico in Oaxaca 8,000-10,000 years ago. Wild species of Cucurbita pepo can still be found in this region. 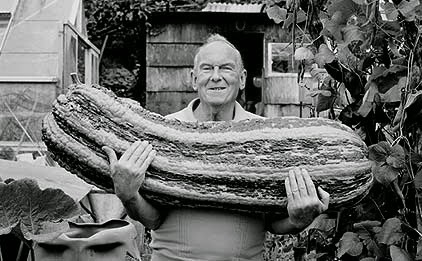 The current record for the world's heaviest marrow is 93.7 kg and has been unbroken since 2009. 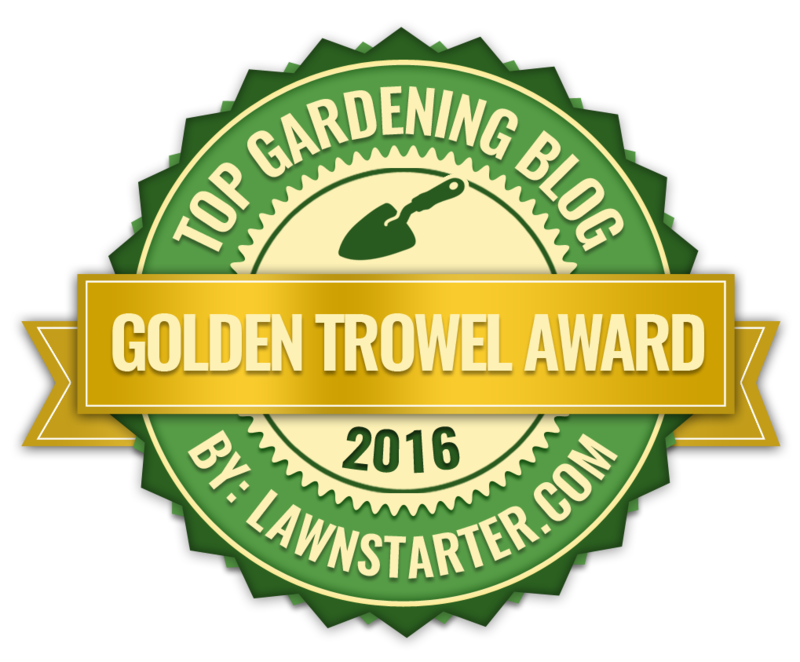 It was grown by Brad Wursten in Sliedrecht, Netherlands. Can this grow up on a trellis?